Loving Pets of Cranbury, NJ is voluntarily recalling a limited number of dog treats because of the potential to be contaminated with Salmonella. No illnesses, injuries or complaints have been reported at this time. According to the company, the possible Salmonella contamination was due to a single ingredient supplied to them from an American-based supplier. The possible contamination was discovered by Loving Pets’ internal quality assurance team. It was identified through the company’s standard quality control testing procedures and internal food safety program. Per the company, Loving Pets produces its treats in small batches so it can offer the highest quality and safety control. Salmonella can affect animals eating the products and there is risk to humans from handling contaminated pet products, especially if they have not thoroughly washed their hands after having contact with the products or surfaces which have been exposed to them. Pets with Salmonella infections may be lethargic and have diarrhea or bloody diarrhea, fever, and vomiting. Some pets will have only decreased appetite, fever and abdominal pain. Infected but otherwise healthy pets can be carriers and infect other animals or humans. If your pet has consumed the recalled product and has these symptoms you should contact your veterinarian. To ensure the safety of its products, Loving Pets decided to be extra cautious and recall a wider range of lot numbers (noted above) so that no possible contaminated product is available on the market. Consumers may return any bag of treats with any of these aforementioned lot numbers to the retailer where the product was originally purchased. 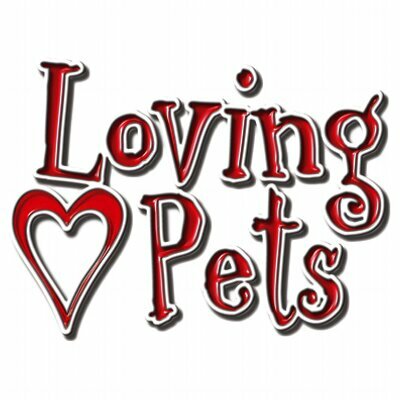 For additional information, please visit www.LovingPetsProducts.com or call 866-599-PETS (7387). Loving Pets previously had a voluntary recall of Simply Nourish Biscotti with Beef & Sweet Potatoes Dog Treats in October 2014 due to the potential for mold growth.